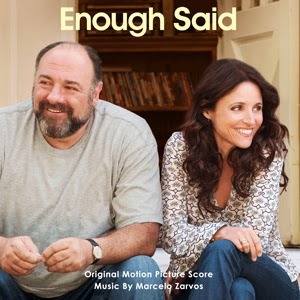 (September 30, 2013– Los Angeles, CA) – Fox Music has released the ENOUGH SAID – Original Motion Picture Soundtrack digitally via iTunes. 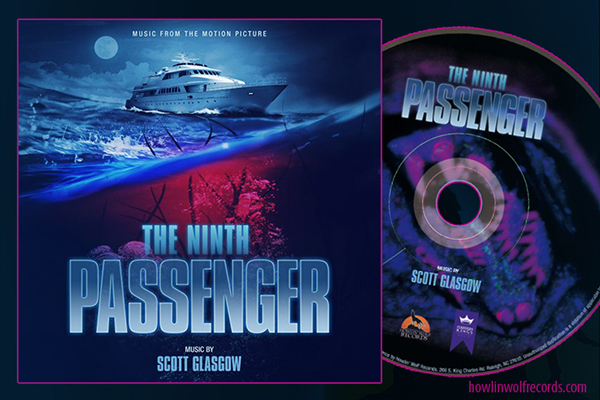 The soundtrack features the original score composed by Marcelo Zarvos (THE WORDS, TV’s RAY DONOVAN). Brazilian-born Marcelo Zarvos burst onto the indie film landscape in the 2000s with his scores for KISSING JESSICA STEIN and THE DOOR IN THE FLOOR. His trademark is a seamless blend of classical, orchestral, rock, electronic and various ethnic and folk elements, which together create a uniquely affecting and emotionally charged music. Zarvos was named one of the 25 New Faces of Indie Film in 2004 by FilmMaker Magazine. Zarvos’s film credits include THE GOOD SHEPHERD, BROOKLYN’S FINEST, SIN NOMBRE, REMEMBER ME, and HOLLYWOODLAND. He has been nominated for two Primetime Emmy Awards (for YOU DON’T KNOW JACK and TAKING CHANCE) and an HMMA Award for BROOKLYN’S FINEST. Currently the composer of the hit new Showtime series RAY DONOVAN, Zarvos’ recent film scores include Barry Levinson’s THE BAY, Daniel Barnz’s WON’T BACK DOWN, David Mamet’s PHIL SPECTOR and Lee Sternthal’s THE WORDS. He has collaborated with Robert DeNiro, Barry Levinson, Antoine Fuqua, Curtis Hanson, Tod Williams, Ang Lee, Jodie Foster, Cary Fukunaga, David Mamet and Allen Coulter. A divorced and single parent, Eva (Julia Louis-Dreyfus) spends her days enjoying work as a masseuse but dreading her daughter's impending departure for college. She meets Albert (James Gandolfini) - a sweet, funny and like-minded man also facing an empty nest. As their romance quickly blossoms, Eva befriends Marianne (Catherine Keener), her new massage client. Marianne is a beautiful poet who seems "almost perfect" except for one prominent quality: she rags on her ex-husband way too much. Suddenly, Eva finds herself doubting her own relationship with Albert as she learns the truth about Marianne's ex. ENOUGH SAID is a sharp, insightful comedy that humorously explores the mess that often comes with getting involved again. Fox Searchlight Pictures presents ENOUGH SAID, in select theaters now. The ENOUGH SAID-Original Motion Picture Soundtrack from Fox Music is available digitally through iTunes.